Saina Nehwal and Parupalli Kashyap will tie the knot in December 2018. Saina Nehwal and Parupalli Kashyap will tie the knot in December 2018 and according to reports, the wedding will take place on December 16. 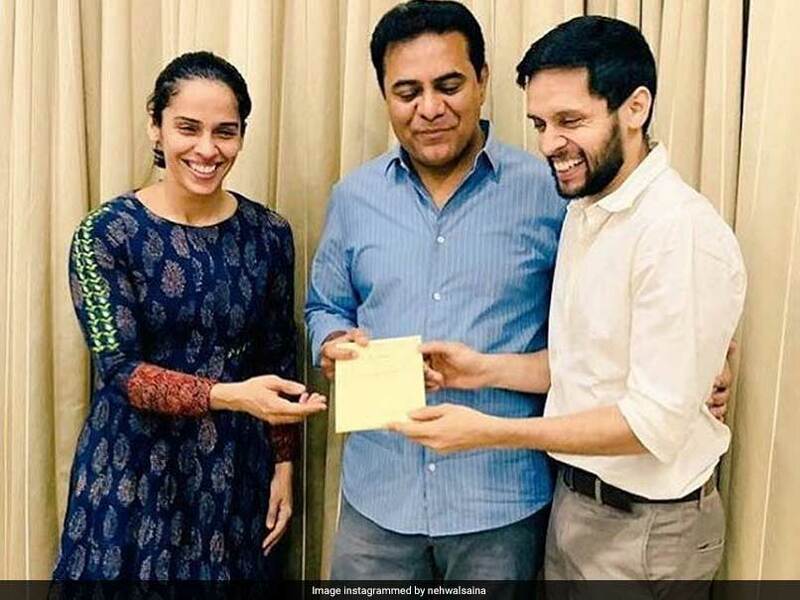 With the wedding day coming closer, Saina Nehwal and Parupalli Kashyap met Telangana MLA KT Rama Rao on Sunday and extended their wedding invitation to him. Saina Nehwal took to Twitter to upload a picture with KT Rama Rao and captioned the image "Thank you KTR sir. It was nice meeting you and discussing the development of Sport in Telangana. Hope to see you soon sir at the reception." In reply, KT Rama Rao congratulated them and thanked them for giving him a refreshing break from the election campaign. 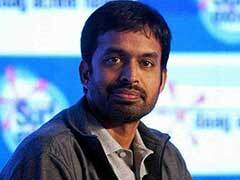 The two badminton players, who have been training with Pullela Gopichand since 2005, were dating for the past 10 years. On the work front, Saina Nehwal had won a women's singles gold in the 2018 Commonwealth Games. She also has 20 major titles to her name, which include an Olympic bronze and a silver at the World Championships. As for the Kashyap, he had reached a career-high ranking of World No.6 before injuries stopped his rise in the men's circuit. 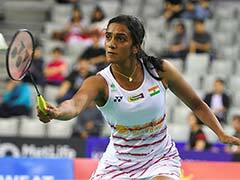 In her last three outings, Saina was knocked out in the French Open quarter-finals, while lost both her final matches of the Denmark Open and Syed Modi International. Saina had lost 18-21, 8-21 to China's Han Yue in the Syed Modi international and had suffered a 13-21, 21-13, 6-21 loss to old nemesis Tai Tzu Ying, whom she had last beaten in 2013. In the upcoming season of the PBL, Saina will be seen playing for the North Eastern Warriors while PV Sindhu and Kidambi Srikanth will represent Hyderabad Hunters and Bengaluru Blasters respectively. The PBL season 4 will be held from December 22 to January 13.